Our goal is to raise the standard of health care. We re making a lifelong commitment to you as a patient. Dr. Paul C. Lee is the system director of Thoracic Surgery at Northwell Health. Board certified in both general surgery and cardiothoracic surgery, he has over 15 years of experience as a thoracic surgeon and specializes in treating benign and malignant disorders of the lung and esophagus. He uses the most advanced minimally invasive robotic techniques, which improve surgical precision and quicken patient recovery. Dr. Lee leads the busiest thoracic surgery program in the New York City area, and is based at Long Island Jewish Medical Center. Under his direction, the program has been recognized by the Surgical Review Corporation as America s first Robotic Surgery Network of Excellence, a true testament to Dr. Lee s ongoing dedication to delivering innovative care. Dr. Lee s patients choose him not only for his results, but also for his accessibility and compassion. He understands the uncertainty that often comes with a health event or new diagnosis, as the majority of his patients are dealing with cancer. He takes the time to get to know every patient, ensuring the most individualized, compassionate care. He also offers same and next day appointments whenever possible. Collaboration is key to Dr. Lee s approach to treatment. He participates in weekly thoracic tumor boards, where specialists across many disciplines come together to discuss cases and decide on treatment plans uniquely tailored for each patient. Every cancer is a little different, Dr. Lee says. I enjoy the intellectual challenge of figuring out the best treatment plan for each patient. Dr. Lee s expertise was honed at some of the finest educational institutions in the world, including Harvard University, Johns Hopkins University School of Medicine and Columbia University. Now at the top of his field, he s passionate about passing on his knowledge to other medical professionals. He s a professor of Cardiovascular and Thoracic surgery at the Donald and Barbara Zucker School of Medicine at Hofstra/Northwell. He also mentors fellow surgeons at Northwell and beyond, training them in the latest robotic thoracic surgery techniques. He has published more than 100 peer-reviewed articles and has given presentations at many national and international scientific meetings in the fields of cardiopulmonary physiology, molecular cell biology and thoracic oncology. Research is also important to Dr. Lee. He has been the principal investigator of several innovative biological research trials for the treatment of lung and esophageal cancer. He s especially interested in the use of health outcome and quality metrics research in improving the delivery of thoracic surgical services to the community. 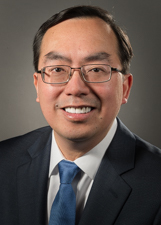 Dr. Lee has done extensive volunteer work to improve the health status of the underserved population in the New York City area and is passionate about raising awareness of lung cancer, especially in immigrant communities. Dr. Lee is a member of various prestigious medical societies including the American College of Surgeons, the American College of Chest Physicians, Society of Thoracic Surgeons, American Society of Clinical Oncology and American Association for Thoracic Surgeons. He also served as the president of the Chinese American Medical Society from 2015 to 2017. Dr. Lee s commitment to exceptional patient care and innovative clinical research is matched only by his fulfilment from patients results. It s so gratifying to see them walking around cancer-free and returning to their normal life. "Dr. Lee performed minimally invasive thoracic surgery on me. He did an excellent job. I recuperated with no problems. He is seeing me now for check-ups." "he is very nice. very friendly. definitely recommend to other"
"Dr. Paul Lee, is very professional, is all an excellent doctor. " "I'm was very please by they services." "DR. LEE MADE SURE THAT I UNDERSTOOD EVERYTHING ABOUT MY HEALTH CONCERNS, MY OPTIONS AND ONCE I ELECTED SURGERY, HE THOROUGHLY EXPLAINED THE PROCEDURE AND WHAT TO EXPECT." "I understand all patients must have patience and respect for the system and services and people who are working, I have no complain rather I am happy"
"Dr. Paul Chinfai Lee is the best we have every confidence that he will seek the best remedy for my husbands problem and we have great confidence in his skills." "Dr. Lee and staff were above & beyond professional." "From my first visit with Dr. Lee, I knew I was in good hands and I know I will continue to be with my follow-up visits & monitoring. Excellent surgeon." "the doctor explain my situation and procedure and make feel comfortable and I had complete confidence in him"
"Dr. Lee is one of the best, as I should know, I'm use to the best." "Dr. Lee is very humble & compassionate. Also realistic."